Notes of the faculty presentations on the Middle East, South Asia and Northeast Asia have been uploaded to AWAC.US. UPDATE: the presentation on Tuesday 8 May by Dr. Dawn Murphy will cover her regional tour of Japan, the Republic of Korea and the Republic of Taiwan. Huntingdon College, in partnership with the Air War College at Maxwell Air Force Base, will host the Hap Arnold Lecture Series, "Leading and Serving in Changing Times," Wednesday, April 4, at 5:30 p.m. in the College's Ligon Chapel, Flowers Hall. This year's lecture will feature Colonel Danielle L. Willis, commanding fighter pilot; Lieutenant Colonel Clayton B. Bartels, a command pilot who has flown for 2,000 fighter hours and more than 50 combat hours; Chief Master Sergeant Lavor A. Kirkpatrick, a career geospatial intelligence analyst; and LTC Timothy G. Dalton, who recently served as the chief of the Space Requirements Branch, Future Warfare Center of the U.S. Army Space and Missile Defense Command. The speakers will address challenges they have faced in their professions and will answer questions from the audience. The public is invited to attend. There is no cost for the event. In a lively presentation, Dr. Aguilera led us from the arrival of democracy in Venezuela in with the Pact of Punto Fijo in 1958, via the Caldera regime to the rise of populism under Chavez and Maduro. He sketched out the economic resources (often squandered) and the differences among the regimes. Maduro has faced greater economic problems with fewer resources to maintain political support than did Chavez. Venezuela, unlike much of Latin America, gained democracy early but has seen it deteriorate into recent chaos. The full notes are found at our archive site, http://www.AWAC.US. Prof. Gabriel Aguilera speaking on Venezuela, 13 Feb. Since the Venezuelan regime has been under pressure in recent months, it is a good time to hear from our expert at Air War College. Dr. Gabriel Aguilera, Associate Professor of International Security Studies, joined the Air War College faculty in 2011. He holds an MA and Ph.D. in Political Science from Harvard University. He specializes in Latin American politics, comparative politics and international political economy. Previously, he has taught at the Autonomous Technological Institute of Mexico and California State University, Chico, where he directed the International Relations Major. His two most recent publications appeared in Comparative Politics and the Harvard Review of Latin America. He is currently working on a book manuscript on the politics of civil military relations in democratic Mexico. Expert speaker on Venezuela, coming 13 Feb. Professor Aquilera is Associate Professor of Security Studies, Air War College, and a specialist in Latin American Politics, Comparative Politics and International Political Economy. Educated at California State University, Chico, he holds an MA and PhD from Harvard. He will assess the implications of recent events in Venezuela. Do you want to know more about ISIS? Migration issues? Climate change? The Koreas? Cuba? We’ve got the answer(s) for you. Members of the Alabama World Affairs Council (AWAC) can participate in the 2016 Great Decisions Program, a new initiative of AWAC that has been offered nationally for over 50 years through a series of discussions held in hundreds of local communities across the country. Sponsored by the Foreign Policy Association of America, it is the nation’s largest discussion program on world affairs. Middle East Alliances (Jan. 27); The Rise of ISIS (Feb. 3); The Future of Kurdistan (Feb. 10); Migration (Feb. 17); The Koreas (Feb. 24); The United Nations (March 2); Climate Change (March 9); and Cuba and the U.S. (March 16). The instructors are all Ph.D.s who are active or retired professors from area universities and colleges. The program is supported by a study booklet, a PBS television series on each topic, and a national opinion ballot at the end of the program. The Great Decisions Program not only provides a wealth of information to participants but also provides those in government and the media a sense of how the informed public views these issues through the questionnaires on the issues which are compiled at the end of the series from hundreds of programs across the country. The cost of the program is only $20 to cover the cost of the study booklet for classroom use. AWAC members and others interested in signing up for the course should phone the AWAC office. Space is limited! Contact: James Nathan, Executive Director or Mrs. Dahdee Bullen—for reservations. James Clad, a former U.S. deputy assistant secretary of defense for Asia, will speak to the Alabama World Affairs Council on Tuesday, Oct. 20. The public is invited to the event at the Montgomery Museum of Fine Art, which begins with a 5:30 p.m. reception followed by a 6:15 presentation. Mr. Clad, once a diplomat, and then went to journalism, He became well know for breaking important stories across Asia. In 2007, Mr. Clad joined the GW Bush administration as deputy assistant secretary of defense. In 2009, he became a professor at US National Defense University, and, at the same time, wrote several documentaries for the BBC and PBS. Mr. Clad is now is senior adviser at the CNA Corporation in Arlington, VA.
A former member of New Zealand diplomatic service,Mr. Clad’s career has focused on Asian commercial and security affairs. He has held senior fellowships from St. Antony’s College, Oxford; from the Carnegie Endowment; and from Harvard’s Center for International Affairs. Mr Clad’s meeting at the Alabama World Affairs Council meeting begins with a catered buffet and a cash bar, followed by Mr. Clad’s talk at 6:15, with a question-and-answer period at about 7:00. The evening ends no later than 7:30 p.m. The charge is $20 for non-members of the Alabama World Affairs Council. The Alabama World Affairs Council is one of 96 councils nationwide, and its individual membership fees are among the lowest, while the quality of the programs is among the highest in the nation. On May 20, my last Alabama World Affairs Council program as president after18 years in the job, I had some things I wanted to say to the attending members. But I was thrown off stride when others shouldered me aside with presentations, and I was essentially struck dumb – I couldn't think of a thing to say. The proclamation from the mayor, presented by his right-hand man Steve Jones (did you know that May 20 is Chick Cleveland Day in Montgomery in perpetuity?! ), the nice words from the U.S. Congress and the Alabama Legislature (I'm sure engineered by Will Sellers), and the plaque from Buck Grinter were all too much. I loved them, I appreciated them, but I still have things to say. It has been an honor and pleasure to serve as president of AWAC. I have thoroughly enjoyed it, and I think we did some good things. Jim Nathan has secured most of the speakers, and we ended up with what I consider a high-quality and a reasonably well-balanced program, year after year, at low cost. We were able to keep the dues low for so long because so many members voluntarily joined at a higher than minimum level, at the same time building up a modest reserve (which came in handy last year as we outspent the income by a good margin in bringing in extra programs). We have operated as essentially an all-volunteer organization, with the exception of one part-time contract employee, the redoubtable Young Gray. There are too many people to thank individually for their efforts, but the support from the Board of Directors and the members has been superb, and I do thank you for it. I have been bestowed the grandiose title of president emeritus and will remain a member. I will never lose interest in the work of this council, but it needs new ideas and new energy. We are very fortunate that the Transition Committee was able to locate a great new president, Dr. Grant Hammond from the Air University at Maxwell. Grant actually has experience as the founder and president of a World Affairs Council in Memphis. 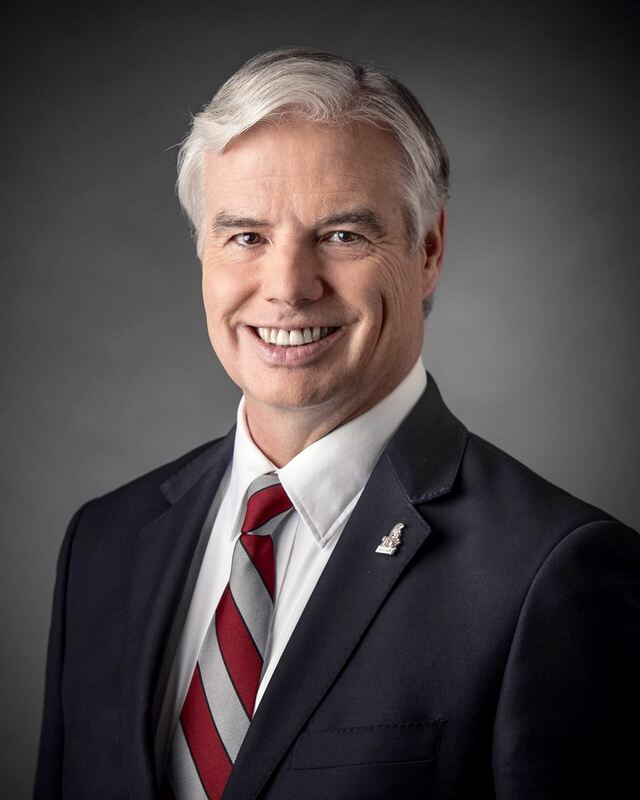 He has served on our Board before when he was a professor at the Air War College, and recently was hand-picked as the provost at Air University, a more-than-full-time job. The Air Force and the World Affairs Council are fortunate to have Grant Hammond with us in leadership positions. Would you enjoy the opportunity to hear and speak with ambassadors, policy makers, award winning journalists, strategists, and academics from the US and abroad about current issues in world affairs in an environment where you can socialize with those of similar interests over drinks and a light supper? If so, you will want to consider joining the Alabama World Affairs Council (AWAC) in this unique experience to participate in its upcoming year’s programs. Under the leadership of President Dr. Grant Hammond, Provost of Air University, author, professor and former Dean of the NATO Defense College in Rome and Executive Officer Dr. James Nathan, the Khaled bin Sultan eminent Scholar at AUM, a former foreign Service Officer and member of the Council on Foreign Relations, the AWAC brings an array of interesting speakers on a variety of world events and important international issues to Montgomery. Founded in 1985 “to bring the world to Alabama,” the AWAC has over 400 members in the Montgomery area and is one of the largest World Affairs organizations in the Southeast. The variety of perspectives, informed insights on world events and frank discussions presented at these occasions are unparalleled. Over the last 18 months, a number of distinguished visitors have come to Montgomery, mingled with members and guests of the Alabama World Affairs Council (AWAC), given presentations on a variety of topics and answered questions from those in attendance at the AWAC meetings. Recent guests have been former CIA agent and author Valerie Plame, Pulitzer Prize winning journalist from the Wall Street Journal Bret Stephens, Ukrainian Ambassador Alexandr Motsyk, former Assistant Secretary of State for Public Affairs and member of the National Security Council P. J. Crowley as well as a group of professors form the USAF Air War College reporting on their recent visits to a variety of military and diplomatic posts abroad during their annual Regional and Cultural Field Studies. Among speakers for the coming year are a member of the US Federal Reserve Bank, a former Deputy Secretary of Defense, a noted Middle Eastern journalist and others yet to be confirmed. In addition, plans are underway to add to the Council’s programs for the coming year to include a program for high school and college students, some smaller informal discussions for those interested in particular topics, and series of book club discussion groups. The establishment of other chapters in the state, beginning with Birmingham, are also underway. The AWAC meetings are held six or more events a year, usually held on Tuesdays at the Montgomery Museum of Fine Arts, occasionally at Auburn University at Montgomery as well. Each meeting begins with an informal reception at 5:30 with a cash bar, a catered buffet (included in the membership fee). The lecture/presentation follows about 6:15 with questions and answers at 7:00. Programs generally end by 7:30. While the quality of its programs is among the highest in the nation, AWAC’s fees are among the lowest. The dues structure allows wide participation. Remembering that a light supper is included as well as the program for six or more meetings, the $40 dollars for a college student, $80 dollars for seniors (65+), $100 for an individual and $150 for a family. Higher levels of membership are also available and include the opportunity to bring guests to the programs. Further information can be obtained by calling the AWAC office at AUM at 334-244-3337 or by visiting the AWC website at www.awac.us. The AWAC Board of Directors is composed of leaders from the business community, academia, the military, non-profit organizations, the professions and citizens interested in global issues and events. American foreign and defense policy, unfolding events in different regions of the world, the impact of increasing globalization and accelerating technology are all topics of concern and form a backdrop for more focused discussions for each program. Understanding how we are all interconnected—by environmental issues, information flows, international trade and finance, energy supplies, social media and their effect on our lives—is a part of personal knowledge and citizenship in the 21st century. Events happening half way round the world have impact on Montgomery. And events that happen in Montgomery—from the international business conducted here, the state’s multi-billion dollar exports, the education of military officers from across the globe, and the future of our youth—will have an impact on the world. Come join us, better understand more about your world, your state and how they are connected, and meet others who share your interests. Contact the AWAC office at 334-244-3337 or visit our website at www.awac.us. AWAC’s executive director, Dr. James Nathan, the Khalid bin Sultan Eminent Scholar at Auburn University at Montgomery since 1991, received the International Services Council of Alabama’s Citizen Diplomat of the Year Award earlier this year at the organization’s 50th Anniversary Gala Dinner in Huntsville. The award was presented by Claes Nobel, senior member of the Nobel Peace Prize family. The ISC, which has subsequently been renamed Global Ties Alabama, manages a number of programs designed to bring the international community and the citizens of Alabama together to participate in the global conversation on important issues. It presented the award in March at the Von Braun Center in Huntsville, where the organization is based. The organization is an affiliate of the national Global Ties America organization, and it works with AWAC’s national organization, the World Affairs Council of America, in promoting the State Department’s visitors program. At the request of Global Ties and our national council, we hope to coordinate AWAC and Global Ties in Huntsville. The Global Ties of Alabama will hold a meeting at Alabama State University on Oct. 27. Global Ties works with Seth Johnson Elementary School and Booker T. Washington High School in Montgomery, and helps the Montgomery School Board with retention efforts. Dr. Nathan received the award because of his “exemplary support of our programming aimed at globalizing Alabama,” said the ISC (now Global Ties Alabama), citing his volunteer activities with international delegations and his leadership in presenting nationally and internationally known speakers at the Alabama World Affairs Council, where he has been executive director since 1992. In his remarks, Dr. Nathan said the award was really more to AWAC than to him personally. Dr. Nathan is a political science and public administration professor at AUM, a former Foreign Service officer, and the author of seven books and more than 80 academic articles. He has written over 100 articles for the New York Times, Washington Post, Washington Times, The Nation, Foreign Affairs, USA Today and other popular publications. He has also held senior posts at the Naval War College, Army War College, the University of Delaware and Johns Hopkins University, and been a Senior Distinguished Fulbright Professor in China, the Philippines, Australia and Korea. A graduate of Indiana University, Dr. Nathan has a master’s degree and Ph.D. from Johns Hopkins University.